Kart-Man provides quality O.E.M. 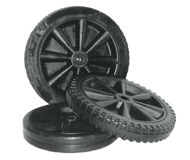 container parts to the Waste Industry. 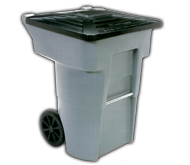 We specialize in replacement parts for 96, 65 & 35 Gallon Plastic Residential Containers used in full and semi automated waste pick-up applications. Our customers are comprised of waste & recycling haulers across North America of a municipal, national and private ownership nature. 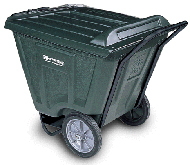 With over 20 years experience in the waste container Industry, we have the knowledge to effectively assist your organizations needs. At Kart-Man our mission is simple: “We promise you excellent customer service, a quality product and a competitive price".